A well-planned and executed paint job can make your rooms appear larger or cozier. New paint can also accent features or hide flaws, or reflect your own personal flair. Choose the Right Color: Go into any paint or home improvement store and you can find swatches of colors to take home with you. We recommend that you select a lot of options because the colors will look different on your wall then they do with the florescent lights in the store. See how you like the colors on different walls: Check your swatches against the walls in different spaces in different lighting conditions. The early morning sun, midday and nighttime lamplight can all affect the appearance of the color. Paint a few colors on your walls: Many companies will offer sample sizes in either a selection of popular colors. A sample will cost much less than a full gallon and give you the opportunity to try them out on the wall before spending a lot of money. Once you have your supplies and colors, you are ready to make a colorful change! 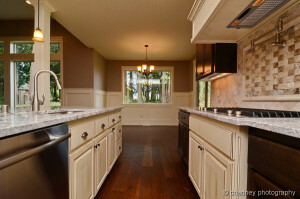 Click here to read more about preparing to paint your custom home in Vancouver WA. 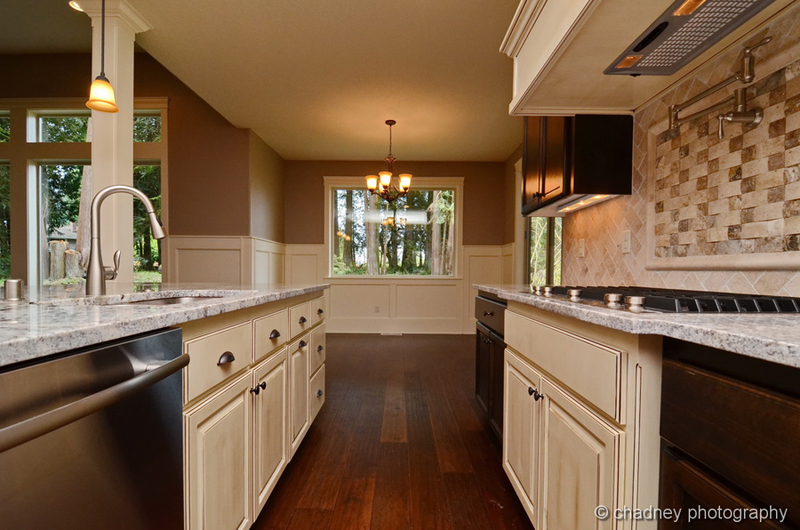 Click here to view our gallery to see some of the colors we can apply to our new homes.